#iwearNAVA - ootd + nava at #bu6! Even before I started blogging, Nava has been a huge favorite of mine not just because it's so convenient for me to shop there...(I've spent countless afternoons walking to their Greenhills branch just to shop)but because Nava always guarantees cutting edge fashion at super affordable prices. That being said...I couldn't be happier when I found out that NAVA will officially be joining Bloggers United 6! Such a match made in heaven, don't you agree? And to celebrate this union...a Nava ootd of course! But wait, there's more! 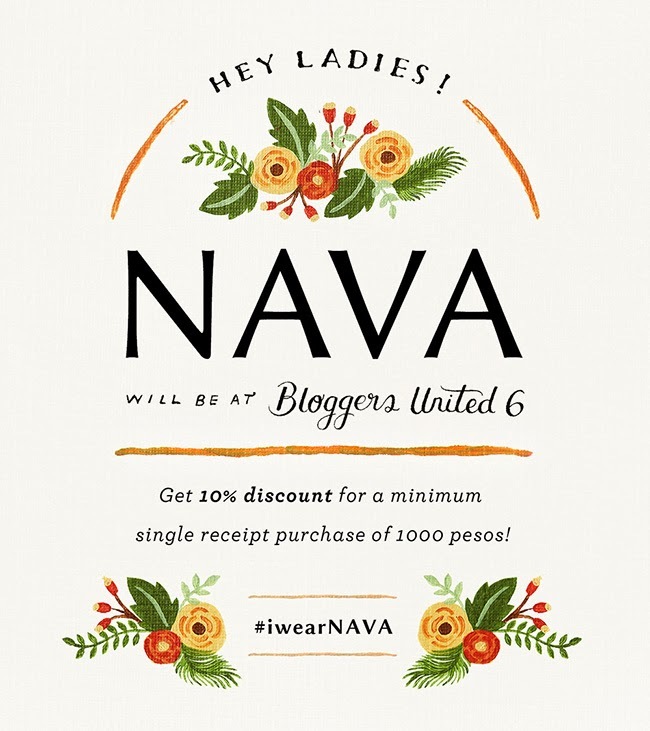 As a special treat for all of you, NAVA will be offering a 10% discount for every P1000 spent at their booth this #BU6!! !